A great additional to this wonderful new home. 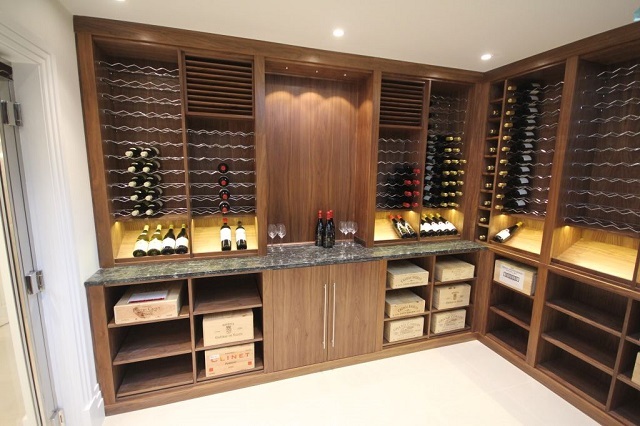 This wine cellar was conceived with close liaison between Paul Case Furniture and the client. 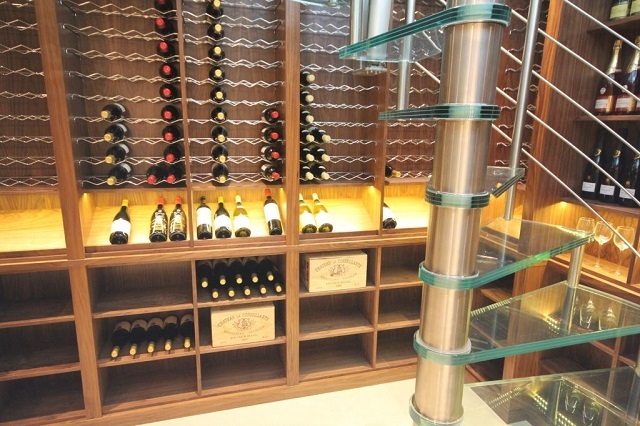 The wine cellar is built using solid walnut veneers and incorporates polished chrome racking. 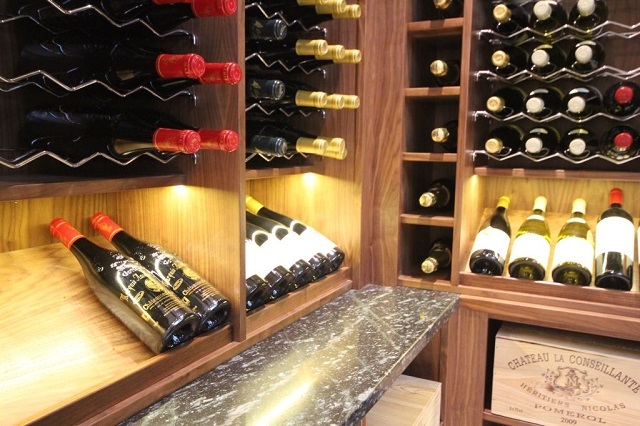 There is a polished granite drinks preparation surface; LED feature lighting and a range of wine storage spaces. 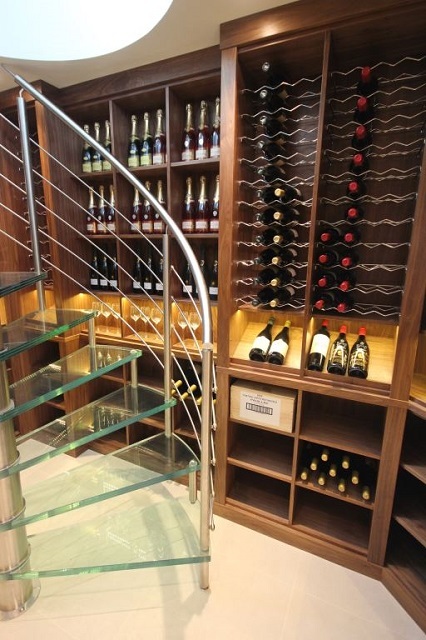 During planning and installation close liaison was maintained between Paul Case Furniture and the architects to ensure the installation of the glass spiral stair case was achieved successfully. This close collaboration between Paul Case Furniture, the client and any other professionals who are involved is key to achieving a successful installation. Our aim is for the client to me delighted with the results.